Wow, these are exciting times! With the passing of some highly anticipated milestones in my school year, I am reminded that the summer is quickly approaching and I’ll be heading to the Gulf of Alaska soon as an Education Officer onboard Expedition 341. I work with an amazing group of students at the Ann Richards School for Young Women Leaders in Austin, TX and my students ask me nearly every day when I’m leaving for Alaska. Emotions are filled with excitement and a little bit of sadness since I will be missing the last week of school. I can’t think of a better way to kick off the expedition than videoconferencing with my students during their last week of school. I look forward to wishing my 8th graders well as they embark on adventures in high school, and congratulating my 12th graders as they wrap up their high school careers and set sail into college! It is so nice to have a wonderful group of students to share the excitement of Expedition 341 with me. 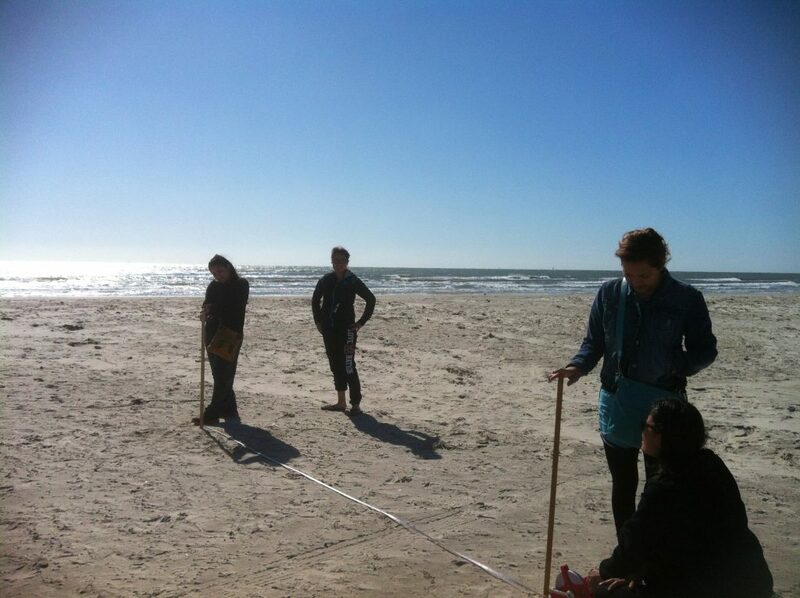 Last weekend I took our first class of graduating seniors to Port Aransas for an AP Environmental Science/AP Biology field trip. In our first activity, we learned about ocean currents in the Gulf of Mexico by collecting and analyzing litter on St. Jo’s Island. My students were fascinated by all of the flotsam on the shore of St. Jo’s Island. One group even made a sculpture out of their litter. It reminds me of something you might find in a seafood restaurant! Other interesting items recovered included an empty bottle of sodium hydroxide, numerous pairs of work gloves, a large ball of tar, packs of Korean cigarettes, and hundreds of plastic bottles. Our beach ecology investigations included examining marine biodiversity in the Gulf of Mexico onboard the R/V Katy research boat. Here, a scientist from the UT Marine Science Institute explains the wonders of squid eyes! Did you know that giant squid have the largest eyes in the animal kingdom? And there’s nothing more exciting than looking at plankton under a portable microscope, especially when you help collect it! Looking out at the ships in the Gulf of Mexico, I couldn’t help but think about our upcoming adventures at sea in the Gulf of Alaska, and how excited I am to share this experience with my students!